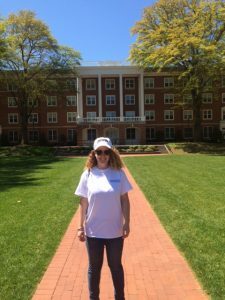 My name is Karyn Keane, and I am a junior at Longwood University. I am an English major with a concentration in Rhetoric and Professional Writing and a minor in Children’s Literature. My academic interests range from pop culture to rhetorical studies to social justice, but my primary focus lies in composition and rhetoric. I plan to pursue a PhD in this field with the eventual goal of becoming a college professor. My previous coursework in Rhetoric and Professional Writing includes History of Rhetoric, Visual Rhetoric and Document Design, and Rhetorical Criticism. This blog documents my experience in ENGL 305: Advanced Topics in Rhetoric and Professional Writing. In this particular semester, this course focuses on Organizational Rhetoric. My blog will accordingly explore how professional groups use rhetorical principles to communicate effectively, both internally (within the group) and externally (to the public). I plan to focus specifically on higher education institutions and their uses of rhetoric. This blog may prove useful to students of rhetoric who wish to explore the field in a unique and professional context or to professionals aiming to better understand communication. The context of this blog relates to my interest in higher education and the necessity of all organizations to effectively communicate.